NC18609 surplus at NY 1946. 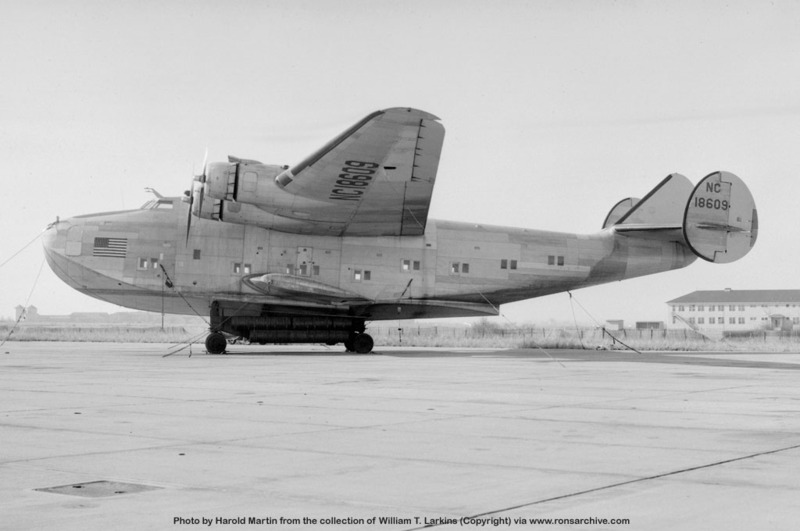 When operated by Pan Am this was the "Pacific Clipper". Photo by Harold Martin. The 314A was powered by 4 - Wright Cyclone GR-2600-A2A of 1600hp.